Matching shoes and purse for the bride. 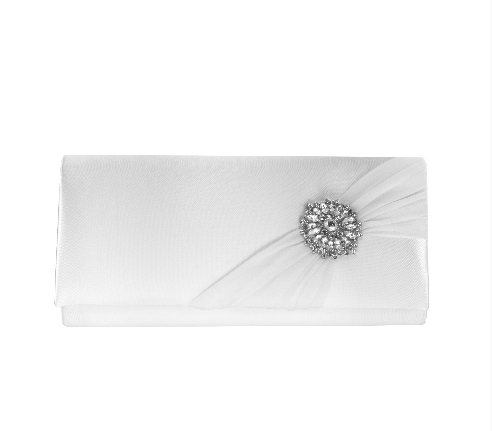 Leah s designs prides itself on their level of detail for all bridal accessories. 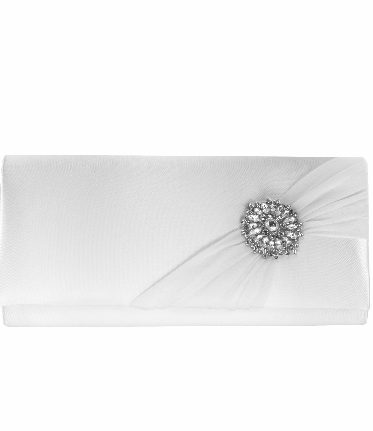 The Patience white bridal purse also comes in ivory as do the matching wedding shoes of the same name. The matching sparkle detail and chiffon on both shoes and bag would team with most wedding dresses.